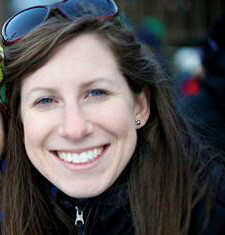 Jackie Molzhon grew up in the Pacific Northwest hiking and camping with her family. She loves spending time in the mountains snowboarding and improving on her skiing. Working for The Summit at Snoqualmie, she was introduced to Outdoors for All Foundation by seeing the participants and volunteers on the hill and is excited to be involved in helping people experience that freedom. Jackie graduated from Central Washington University with a degree in Communications specializing in Public Relations. She enjoys exploring the central Cascades during the winter and summer, playing volleyball, going to Mariner games, golfing and creative writing.